two days in a row after nothing for two months?? 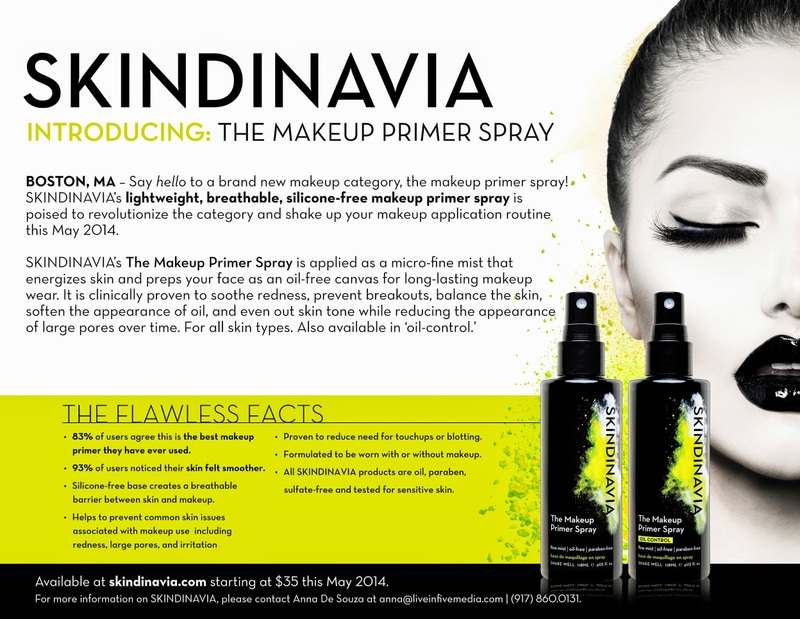 i'm really on a roll now :) i got this press release from Skindinavia last week and i'm pretty excited about it! they have developed spray primers... which i think is genius! it takes the great idea of makeup setting sprays and brings it to whole new level. i also love that they have an original formula for all skin types AND an Oil Control formula... which is perfect for the super oily girls like me! can i just say how much i'm loving the makeup on the model?! those lips are just amazing. what do you think of a spray primer? would you try it? check out everything Skindinavia has to offer at their website, www.skindinavia.com!